I am a public school graduate, as is my husband so I’m not saying any of this without experience. My oldest, Austin did go to public school Kindergarten which is what lead us on this journey. 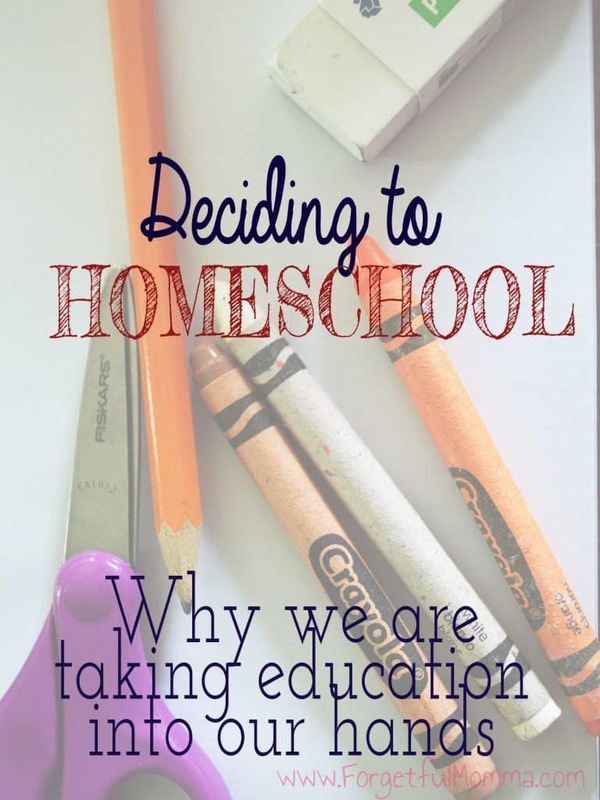 I did not have any intention of homeschooling when I had kids, in fact I didn’t know that people actually “did that”. Yet here we are going into our third year and loving it. No early morning wake ups. No fighting to get them out of bed 5 days a week. No lunch boxes to prepare. No racing to meet the morning bus. I don’t have to worry about being home to meet the bus after school. We don’t have to stand outside waiting for the bus in -30°C weather. One winter was more than enough for me. I don’t have to buy bizarre school supplies. I don’t have to label every. single. crayon. Slow moving mornings, breakfast at 9am works for us. Limited chances at getting lice. Limited illnesses – we’re had the flu once in the last couple years without getting the flu shot. We have never been so healthy. Not having to get dressed. Staying in our pajamas all day on cold winter days is great. We don’t have to plan family vacations around school vacations. I don’t have to fill out a bunch of paperwork every year. In fact, I have a copy of all our paperwork saved on my computer to edit and email off. I do this once a year and it takes maybe 5 minutes, for all my kids. No bomb threats or drills. No religion being forced my kids – we are living in a very religious place, so much so that it was brought at baseball practice that my kids were in. A lack of peer pressure. They can be themselves 100%. No homework. Unless I walk away from them because they are goofing off. My kids can develop an interest in what they are interested in. They have time to develop their own interests. We can start our lessons whenever we want. Like in the afternoon. We can end our day whenever we want. One hour of work some days is all we need. They are learning life skills, that don’t include how to stand in a line or ask for permission to use the bathroom. My kids are great at socializing with people of all ages. We get to enjoy and have the science center to ourselves. We get the membership for the year, but won’t use it all summer because it gets too crowded. Same goes with museums and playgrounds. Nice and empty for my kids to run around crazy. We still go to playgrounds doing the summer too. We aren’t stuck inside on beautiful days – we can take our lessons outside. We aren’t forced to learn in one room. We can learn everywhere that we go. Including the library, the backyard, and we’ve even taken our lessons to the car dealership while getting maintenance work done. We can move through content at their own pace. My kids are friends with each. They have an amazing bond. I get to spend valuable time with them while they are young. These are my 30 reasons for sticking with homeschooling even though if it was never my intention to go down this road. Not everyone will agree with these and that is A-OK. 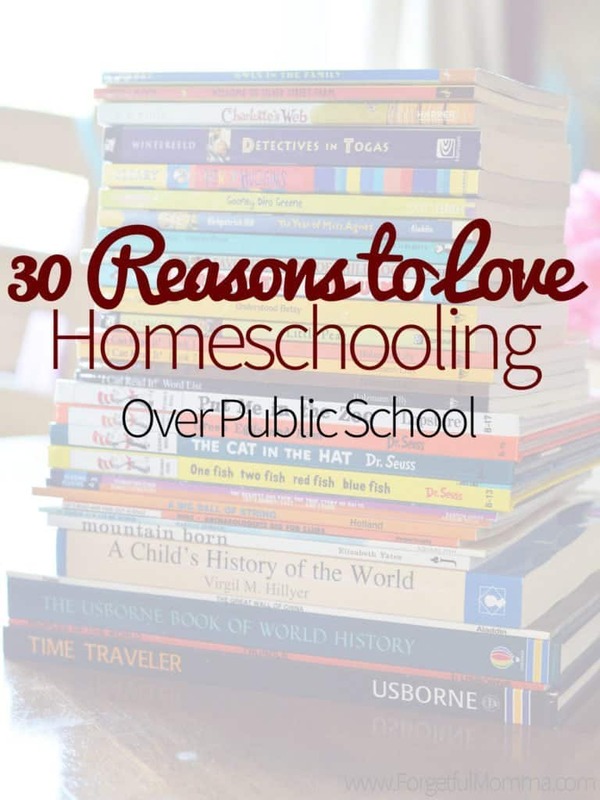 These are very similar reasons as to why we love homeschooling too. I’m definitely not a morning person and love the fact that I can sleep in. My kids love how flexible it all is for them.